President Trump’s tough stand on North Korea is paying yuge dividends! Kim Jong Un has announced that he not only wants to talk about normalizing relations with South Korea and the United States, he is already planning a US embassy in Pyongyang. That is BIG! For the first time in seventy years we are on the brink of a unified Korea, no longer a North Korea and a South Korea. With unification comes peace on the peninsula and a major threat to the world removed. The meeting between President Trump and Kim Jong Un is being planned within the next month and a half at a location yet to be announced. Seoul would be a good choice. It is neutral and safe and close to Pyongyang. Any substantive talks between Kim and President Trump must include, obviously, total denuclearization of the peninsula, which Kim appears ready and willing to accede to. All parties involved in the reunification of the Korean peninsula stand to benefit greatly, especially Kim and the people of North Korea. TOKYO (Sputnik) – North Korea’s leader Kim Jong Un expressed willingness to sign a peace agreement with the United States as well as to establish diplomatic relations between the two countries, South Korean media reported Monday, citing a source at the South Korean presidential administration. Kim spoke about the intention to normalize relations with Washington during a meeting with a South Korean delegation in Pyongyang, the Dong-A Ilbo newspaper reported. The North Korean leader’s final goal is to sign a peace agreement with the United States and establish diplomatic ties, possibly including the opening of a US embassy in Pyongyang, according to the newspaper. On Thursday, US President Donald Trump accepted the invitation to meet with Kim by the end of May following months of heightened tensions and exchanges of frequent military threats between the two leaders.Donald Trump said later that he expected “tremendous success” in solving the North Korean issue, saying that he expected Pyongyang to cease its ballistic missile and nuclear tests as well as denulearize. A few problems I anticipate with a potential agreement leading to unification and denuclearization…. Kim may not look the part, but he is an Alpha male. His position in a unified Korea is important. For this to workd, he must still feel as though he is still in a position of great power. What to do about that. I’m not sure, but certainly a position at least equal to Vice-President would be the minimum Kim would accept, if he would accept that. He may envision being the sole leader of a unified Korea, which would obviously present many problems. Somehow, I don’t think that relinquishing absolute power is a deal breaker for Kim, but it may take a bit of skilled negotiating. Good thing we have a world-class negotiator in the White House. Kim’s desire to have a US embassy in Pyongyang indicates that he still envisions two Koreas or a unified Korea under his control. What happens if the peninsula is unified and the border is opened? I’ll tell you what happens – unless measures are planned to control it, there is a mass exodus from North Korea to South Korea. Not only would Kim have given up all of his nuclear toys and military, he would also see his people fleeing in huge waves. Using the unification of Germany as a model would be a good idea. I believe any plan to unify must include massive support from the UN. Scratch that, the UN is worthless. Any plan to unify must include massive support from the US, South Korea, China, and Japan, and a pledge to modernize the backward country agriculturally, industrially, and in every other way to bring it and its people into the 21st Century. 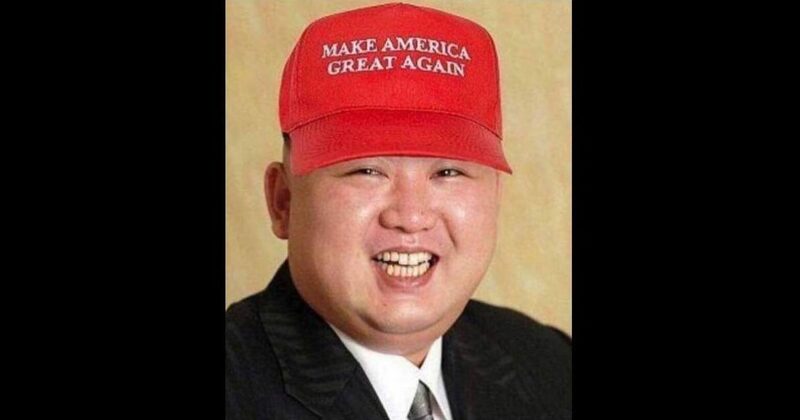 Kim may be crazy, but he isn’t stupid. I think he will go along with that. His options are very limited and he knows it.